These chili-lime chicken fajitas are made with strips marinated seasoned chicken breast, tossed with vibrant peppers, onions, and wrapped in warm flour tortillas. 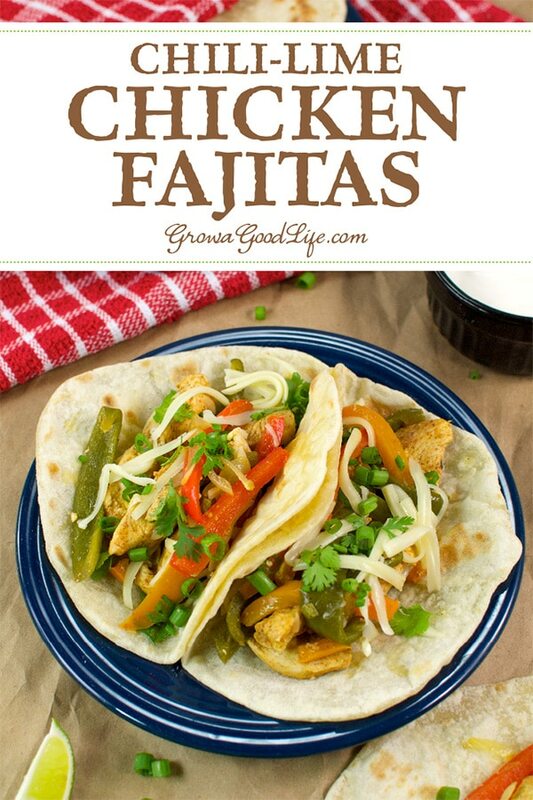 One of my favorite ways to use peppers and onions from the garden is to make these simple chicken fajitas. This fajita recipe is versatile. 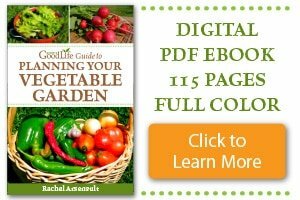 You can use any type of peppers or onions you like, swap out the chicken for beef, shrimp, or go meatless. You can spice it up by adding more hot peppers to the mix or keep it mild by using bell peppers. This recipe packs a combination of delicious flavors. The chicken is cut into strips and marinated in a combination of extra-virgin olive oil, lime zest and juice, and taco seasoning allowing the flavors to infuse into the meat. Once marinated, the seasoned chicken is sautéed with peppers and onions for a simple and tasty fajita filling. Add your favorite toppings, fold, and enjoy. If you do the prep work the night before, these chicken fajitas take about 15 minutes from skillet to table. Once your chicken is marinated, vegetables sliced, and tortillas warmed, fajitas are quick to cook and get on the table fast. Make homemade taco seasoning: Mix up a batch of this taco seasoning and keep the jar in your pantry for a fast addition to your Mexican meals. No time for homemade taco seasoning? You can substitute 1/2 tablespoons chili powder, 1/2 teaspoons paprika, 1/4 teaspoons cumin, 1/8 teaspoon onion powder, 1/8 teaspoon garlic powder, 1/8 teaspoon red pepper flakes, 1/8 teaspoon pepper, dash of oregano, and a dash of cayenne pepper. Infuse your chicken with a delicious chili-lime marinade. Combine the marinade ingredients with the chicken strips and let it marinade for at least 30 minutes to add lots of flavor to the meat. Make flour tortillas: Make the flour tortillas while the chicken is marinating. To make fajita-sized tortillas, divide the dough into 12 balls and roll out 6-inch tortillas. Cook your fajita filling: When you are ready to cook your fajita filling, sauté the peppers and onions in a hot skillet until they are slightly tender. 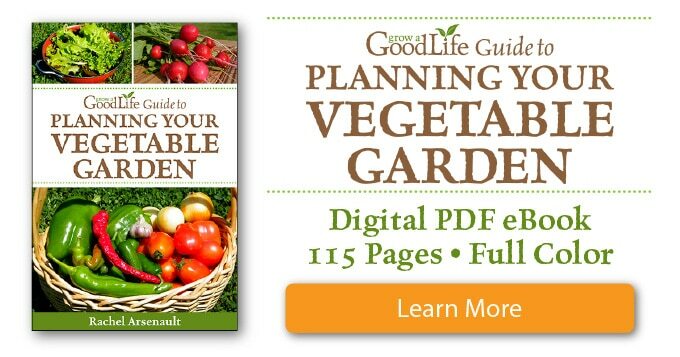 Remove the vegetables from the skillet and set aside. Add the marinated, seasoned chicken to the skillet and cook until no longer pink. Return the sautéed vegetables to the skillet, add the green onions, and keep warm until ready to serve. Fajitas are fun food! I like to let everyone make his or her own fajitas. I place a dish or cooked fajita filling it in the center of the table, and surround it with warm tortillas, shredded cheddar cheese, chopped cilantro, salsa, green chili sauce, guacamole, lime wedges, and sour cream. Everyone digs in, assembles and customizes their fajitas to their liking. 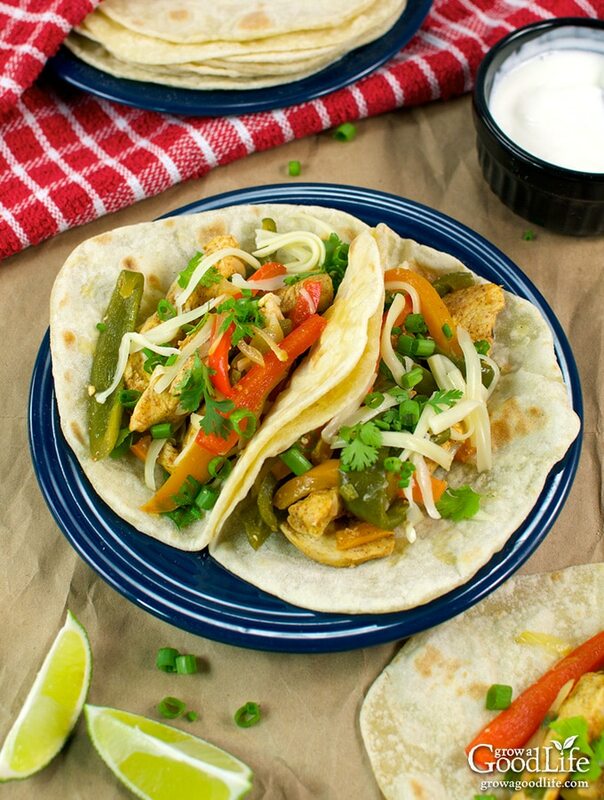 These chicken fajitas are made with strips of chili-lime seasoned chicken breast, tossed with vibrant peppers, onions, and wrapped in warm flour tortillas. Zest the lime using a micro plane or the small holes of a box grater. Add the zest to a large non-reactive bowl. Juice the lime and add the juice to the bowl along with 2 tablespoons of extra-virgin olive oil, taco seasoning, and salt. Add the chicken strips and toss to coat. Cover and refrigerate for at least 30 minutes or overnight. 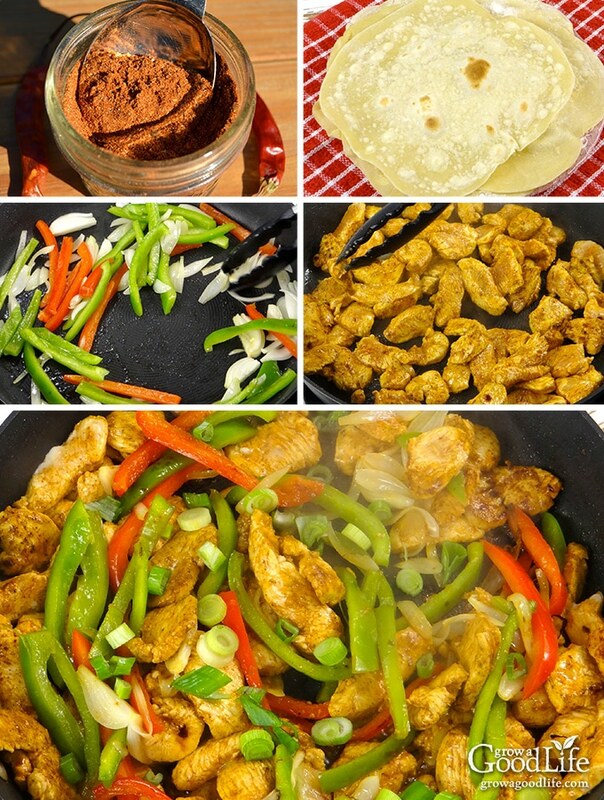 While the chicken is marinating, make your flour tortillas with this recipe. To make fajita-sized tortillas, divide the dough into twelve balls and roll out 6-inch tortillas. When you are ready to cook your fajita filling, heat 2 tablespoons olive oil in a large skillet over medium heat. Add the peppers and onions to the skillet and sauté until crisp-tender, about 5-7 minutes. Remove the peppers and onions to a plate and set aside. Add the marinated, seasoned chicken to the skillet and cook until no longer pink, about 5-6 minutes. Return the pepper and onion mixture to pan. Add the green onions, stir to combine, and heat through. Keep warm until ready to serve. Spoon filling down the center of warm tortillas, add your desired toppings, fold in half, and enjoy. Recipe makes twelve 6-inch chicken fajitas. Or substitute 1/2 tablespoons chili powder, 1/2 teaspoons paprika, 1/4 teaspoons cumin, 1/8 teaspoon onion powder, 1/8 teaspoon garlic powder, 1/8 teaspoon red pepper flakes, 1/8 teaspoon pepper, dash of oregano, and a dash of cayenne pepper. 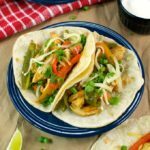 Fajitas are such an easy and quick meal and a great way to enjoy fresh peppers and onions when in season. Making fajitas is also one of my favorite ways to use frozen peppers from the summer garden and onions in storage. Looks like a tasty dinner!